The Bachelor of Science program in Civil Engineering is an accredited and widely recognized degree program for entry into the civil engineering profession. As an undergraduate you will complete approximately two years of math and science and two years of engineering coursework. Taking advantage of free elective courses can also allow you to pursue a second major or a minor from a variety of areas of study. Recent graduates have completed double majors in Engineering and Public Policy, Psychology, and Technical Writing and minors in Architecture, Music, and Business. If you are highly motivated and wish to pursue an advanced degree, you may plan a course of study that leads to both the BS in Civil Engineering and the MS in Civil and Environmental Engineering (IMB Program). This course of study will ordinarily require ten semesters of study, although advanced placement or other study may reduce this time. Students can apply appropriate units earned as an undergraduate toward their MS program as long as they are beyond the 379 units required for the BS in Civil Engineering degree. In the ninth semester of study, students must register in graduate status. The minor in Environmental Engineering and Sustainability requires additional course work in the specialized area of environmental engineering and sustainability beyond a traditional engineering major degree program. Seven courses are required, including one course in sustainability, one course in environmental engineering, three technical electives and two policy electives. The Global Engineering minor prepares you to join an international community. Courses are designed to increase global awareness and international experiences. Requirements include coursework in international management, ethics, modern language, as well as a study or work abroad experience. Visit the Undergraduate Course Catalog for ideas for other double majors and minors. 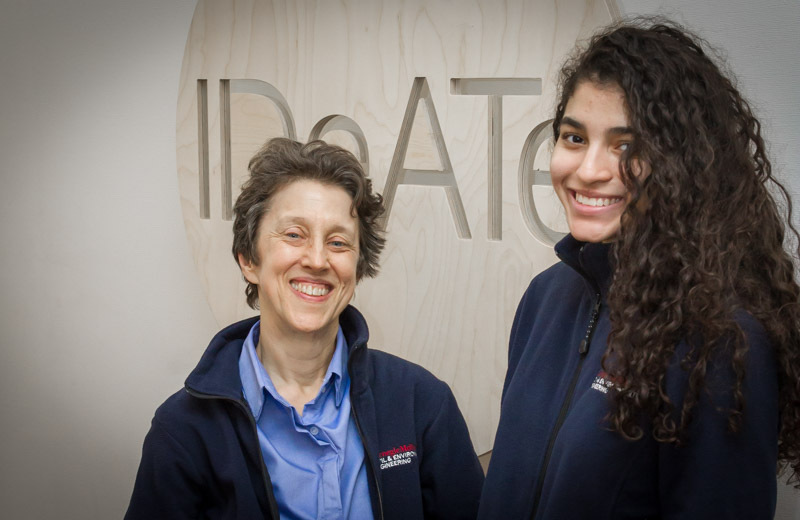 The Integrative Design, Arts and Technology Network (IDeATe) connects diverse strengths across Carnegie Mellon University to advance education, research, and creative practice in domains that merge technology and arts expertise. IDeATe concentrations and minors provide the opportunity for you to choose from creative industry themes such as intelligent environments, physical computing, and media design. Courses are focused on hands-on collaborative learning and are structured to combine students from many different disciplines. IDeATe supports eight interrelated undergraduate concentration areas, all of which can also be taken as minors. The themes of these areas integrate knowledge in technology and arts: Game Design, Animation and Special Effects, Media Design, Sound Design, Learning Media, Innovation and Entrepreneurship, Intelligent Environments, and Physical Computing. Concentrations are completed by taking four courses, while minors require five courses. Morgan Reed (CEE ‘19) is an aspiring structural engineer who plans to make an impact in urban development, and she has a unique and unexpected minor: Animation & Special Effects.